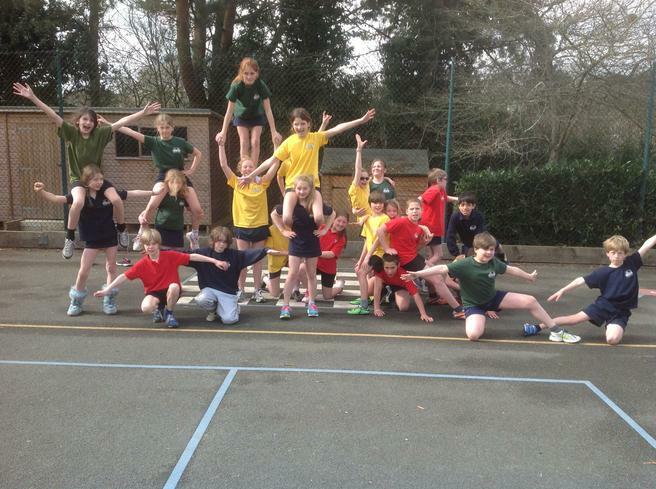 The whole of our Key Stage 2 took part in the annual 'Gym and Dance' display this year. 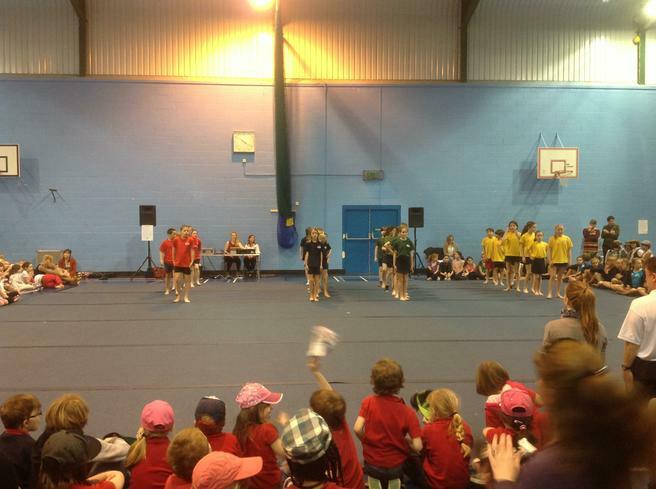 Organised by KCC and hosted at the Leisure Centre, the display gives children from all of the local primary schools the opportunity to show parents, carers and friends what they have been learning in their gym and dance lessons at school. 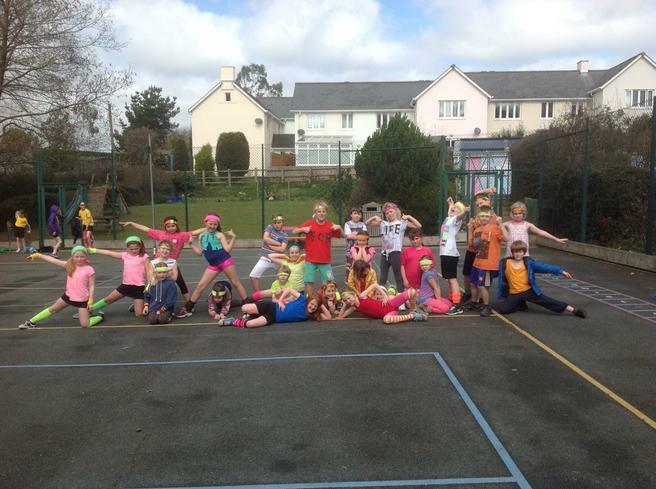 On this occasion our Years 3 and 4 (Herons) themed their dance around a 'Mr Motivator' aerobics class! The children totally engaged with the theme, dressing in 1980s style leg warmers, lycra and head bands. They put on an amazing display which was greatly appreciated by the audience. 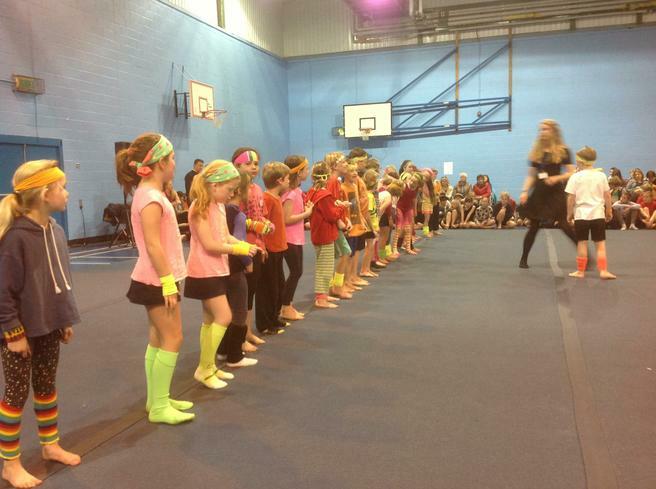 Swans class, (Years 5 and 6) gave a thrilling gym performance entitled 'Gymnastic Funk'. The co-ordination and balance skills they exhibited were wonderful and they were delighted to receive a round of rapturous applause at the end of their display. Thank you to all of our parents and carers who made the trip into Kingsbridge to go and watch the children.